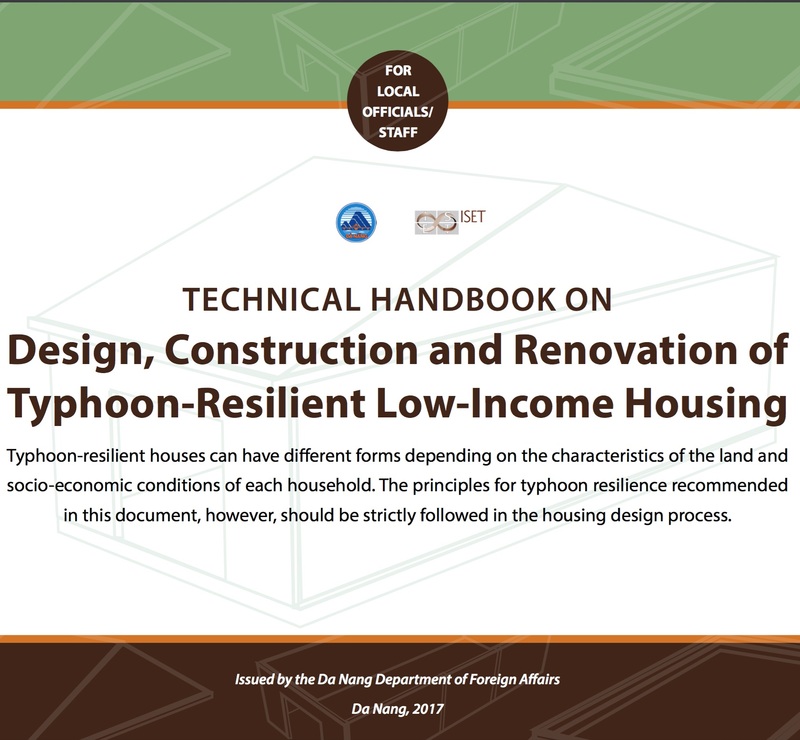 The technical handbook is part of the Undertaking Feasibility Study for Scaling Up the Model of Storm Resistant Housing for a Resilience Da Nang project, which is implemented in 26 months, from 07/2015 to 09/2017. The implementing agency is the Danang Department of Foreign Affairs (DoFA). The Institute for Social and Environmental Transition (ISET) acts as a consultancy and technical assistance unit in the implementation process. A series of handbook aims at different targeted group (including households, local builders, local officials), is created to guide the design and construction of typhoon-resilient housing to support the replication and scaling-up of the typhoon-resilient housing model. Page generated in 0.21 seconds.